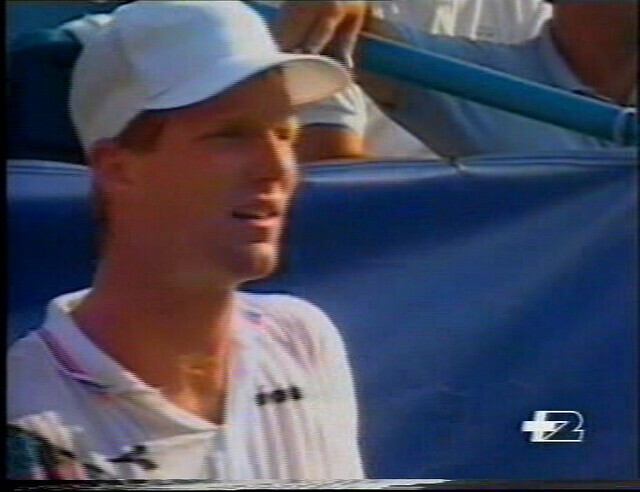 In the third game of the match, Courier runs into trouble on his serve: the game goes to 6 deuces, before Edberg breaks. 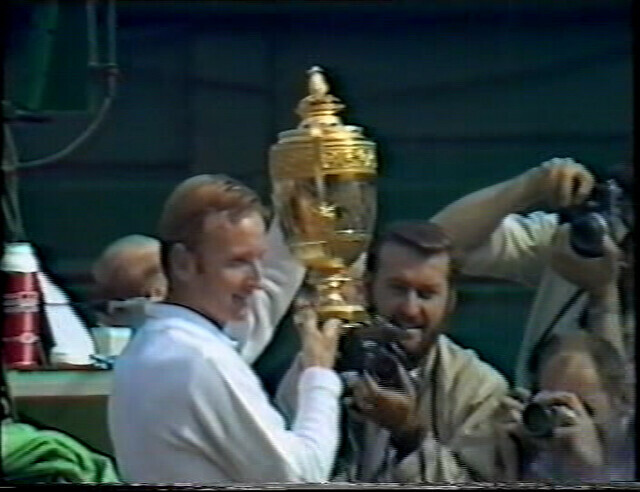 From then on, it’s a perfect display of serve and volley tennis, and Edberg captures his first US Open title with a 6-2 6-4 6-0 masterpiece victory. 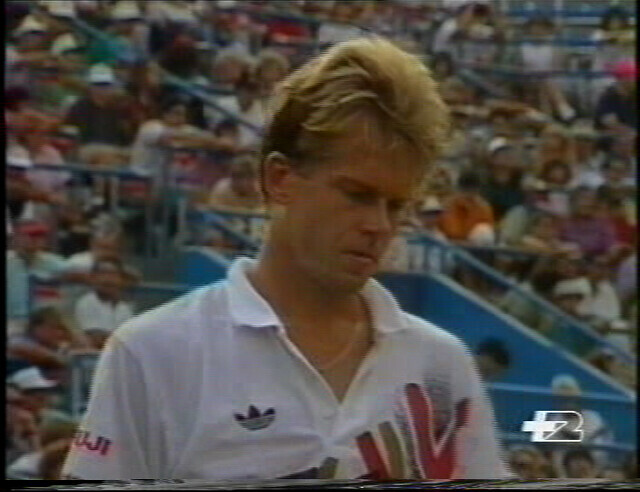 Edberg put on one of the best performances in a Grand Slam final. Nadal had an exceptional year in 2008: he reached the semifinals of the Australian Open for the first time, won a fourth consecutive Roland Garros title and captured his first Wimbledon after an unforgettable thriller versus Roger Federer. 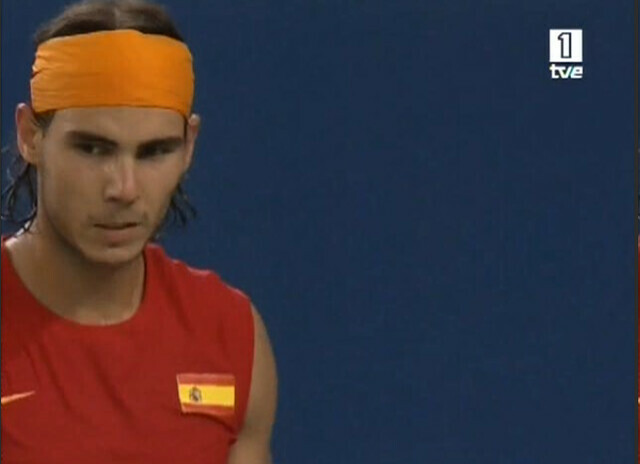 Rafa also represented Spain at the Beijing Olympic Games. 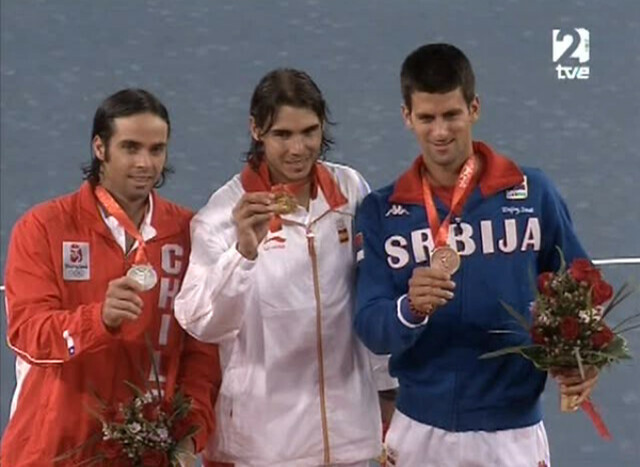 After a tough three sets battle against Novak Djokovic in semifinal, he beat Fernando Gonzalez in the final to win his first Olympic gold medal. 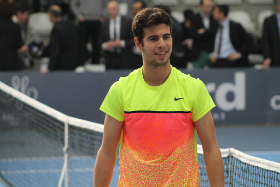 There’s not a lot to say about this match, a baseline battle with some spectacular points. 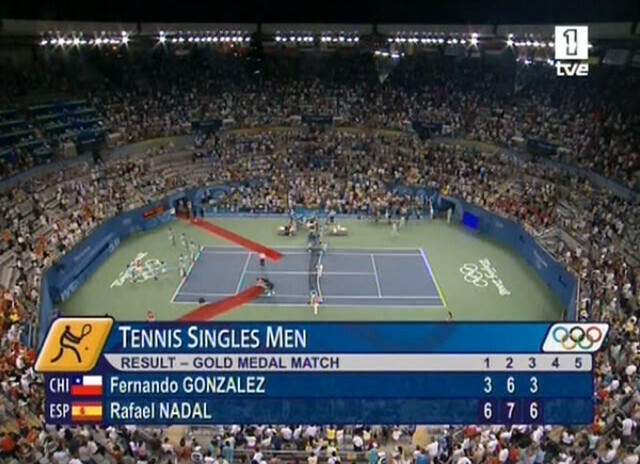 This silver medal was the third olympic medal for Gonzalez: at the 2004 Olympic Games in Athens, Fernando and doubles partner Nicolas Massu gave their country its first ever Olympic gold medal, when they defeated Nicolas Kiefer and Rainer Schüttler of Germany to win the men’s doubles tournament. 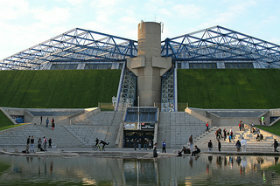 He also won a bronze medal in the 2004 men’s singles. Tennis was part of the Summer Olympic Games program from the inaugural 1896 Summer Olympics, but was dropped after the 1924 Summer Olympics. 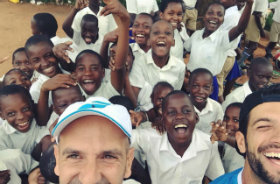 After two appearances as a demonstration sport, it returned as a full medal sport at the 1988 Summer Olympics and has been played at every edition of the Games since then. 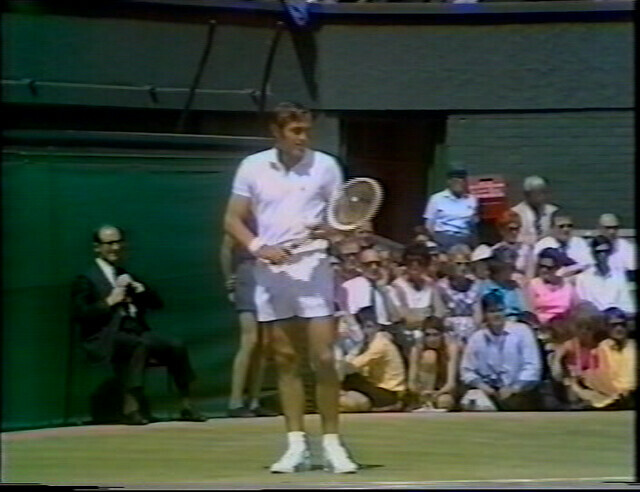 Do you watch tennis during the Olympics Games? 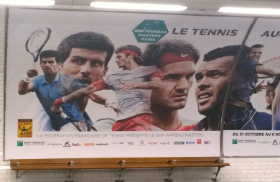 Do you think tennis is really part of the Olympics family? Please share your thoughts. 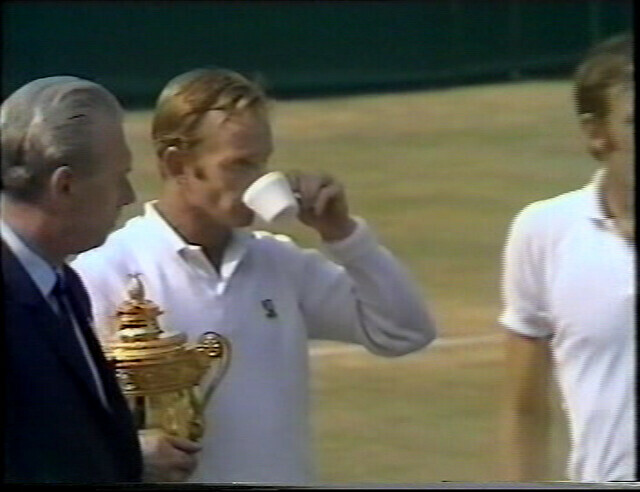 Back in 1969 for this final between two great Australian players. 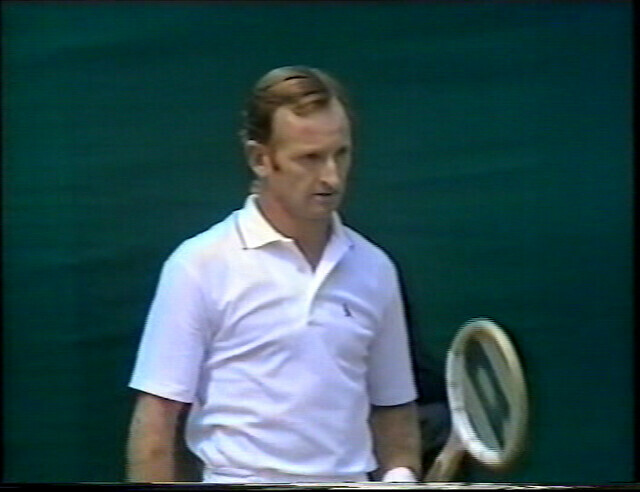 After his win at the Australian Open (vs Andres Gimeno) and French Open (vs Ken Rosewall), tennis great Rod Laver was en route for his second calendar Grand Slam. An entertaining match between two gifted serve and volleyer. 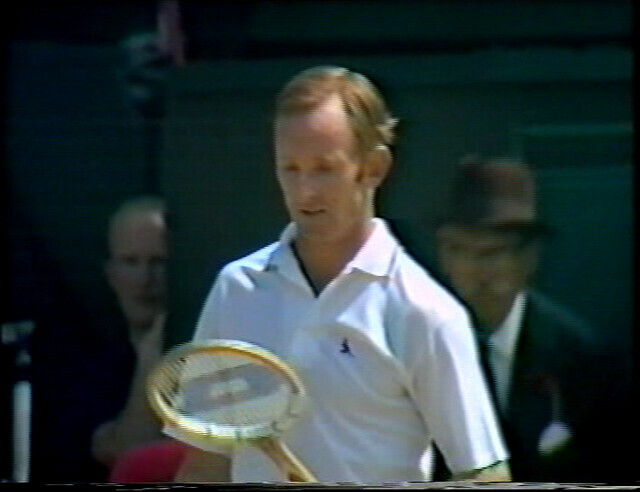 – only 5 players have completed a calendar Grand Slam: Don Budge (1938), Rod Laver (in 1962 as an amateur and in a 1969 as a pro), Maureen Connolly (1953), Margaret Court (1970) and Steffi Graf (1988). A must see match, not really for the quality of the match, but for all the drama. I remember watching this match on TV way back in 99. Never seen such a crazy match before. Hingis, was the clear favorite to win the title: at only 19, the then world number 1 was seeking the only Grand Slam still missing to her collection. 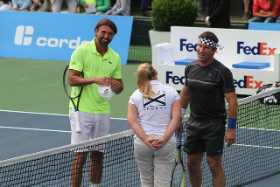 Graf, 29, was playing her first Grand Slam final since her victory against rival Monica Seles at the 96 US Open. 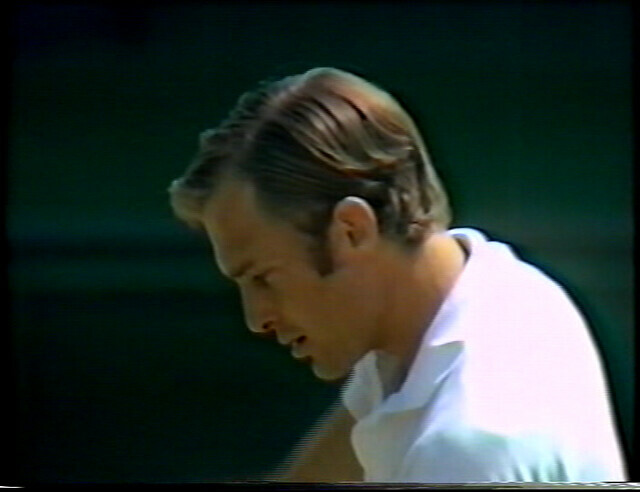 Everything started well for the Swiss Miss, leading 6-4 2-0, but the drama started and a single point completely changed the course of the match. 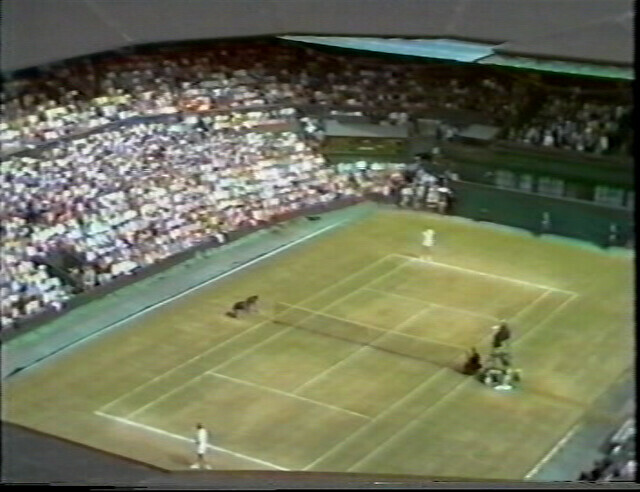 Hingis disputed a line call and went round the net to Steffi’s side to show the ball mark. 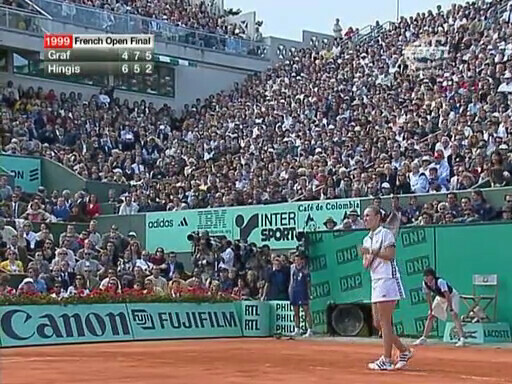 From then on, the crowd was rooting for Graf, booing Hingis. 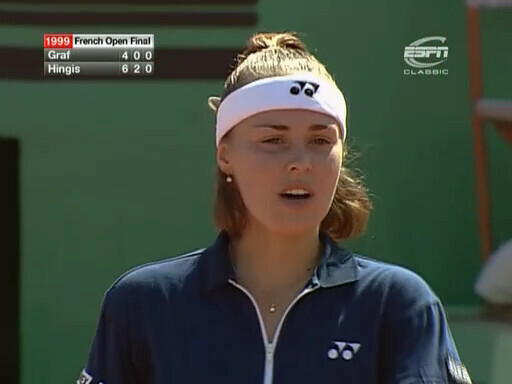 Hingis served for the match at 5-4 but Steffi broke and won the set 7-5. 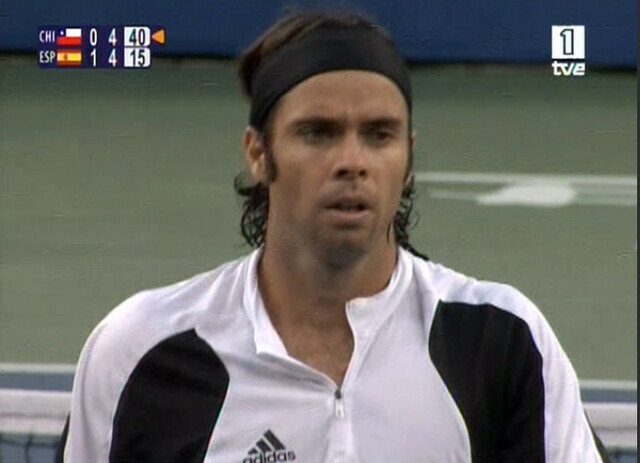 Graf took the control of the match. 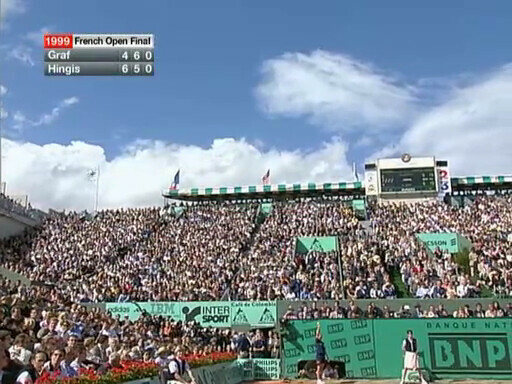 Trailing 5-2 in the third and serving to stay in the match, Hingis faced double match point. 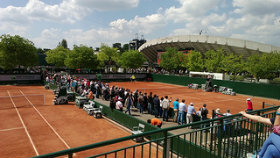 She hit an underarmed serve, argued again with the umpire. 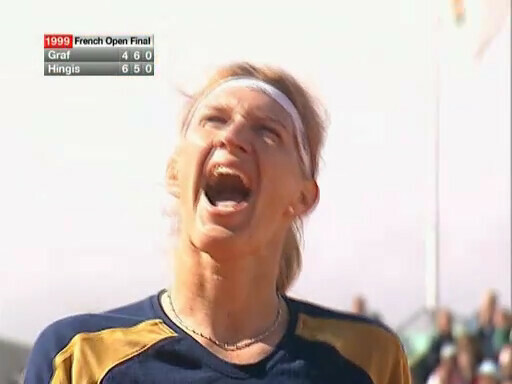 Graf finally converted her third match point. 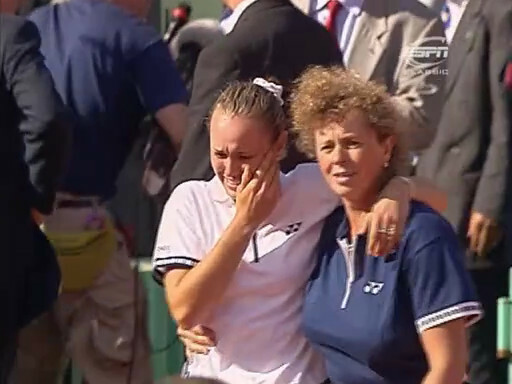 But the drama wasn’t over: Hingis left the court at the end of the match, but came back, crying in the arms of her mother. 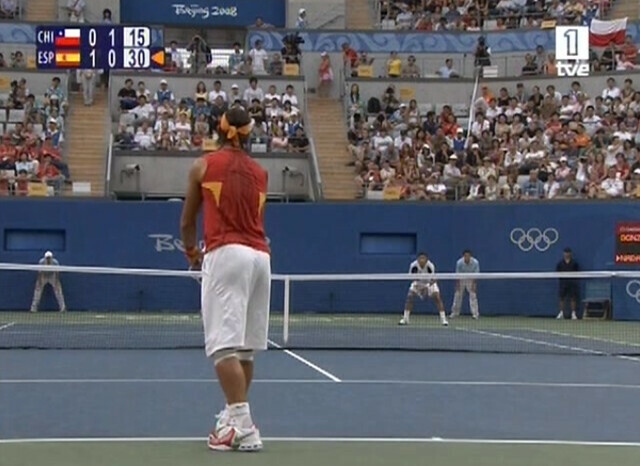 No question, the chair umpire was bad, but Hingis behaviour was really disrespectful as she acted like a spoiled kid. 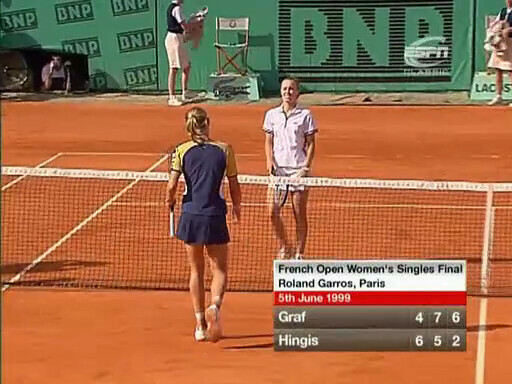 I really wonder how Graf could remain so calm and focused after all that Hingis’ whining and arguing. 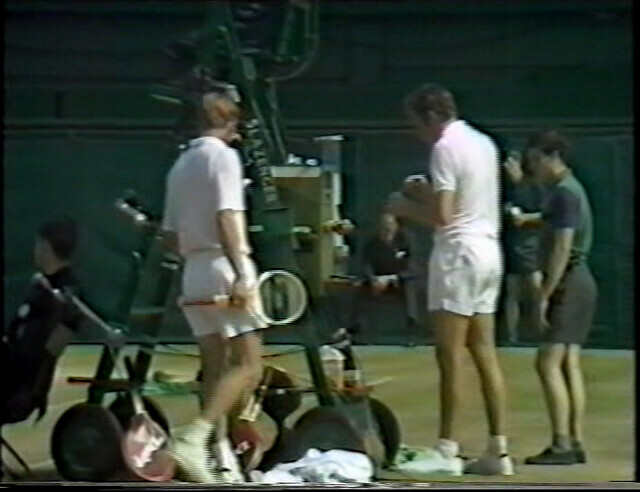 I have done everything I wanted to do in tennis. I feel I have nothing left to accomplish. 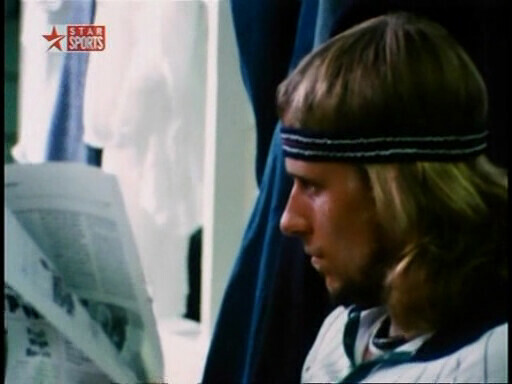 The weeks following Wimbledon weren’t easy for me. I was not having fun anymore. 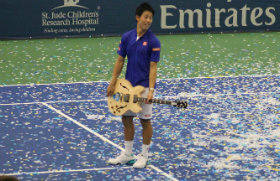 After Wimbledon, for the first time in my career, I didn’t feel like going to a tournament. My motivation wasn’t what it was in the past. 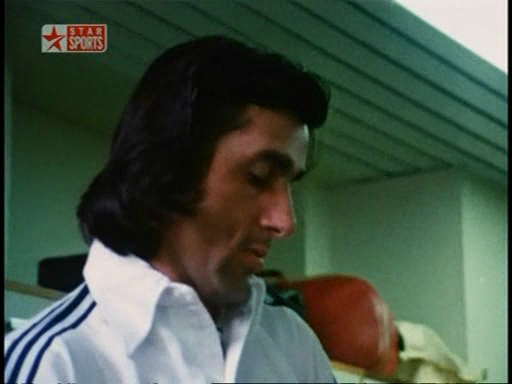 Graf turned professional in 1982, when she was 13 years and four months old. 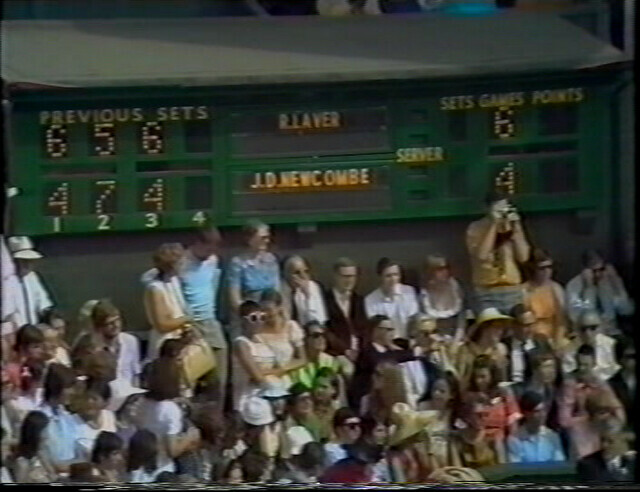 She won her first tournament in April 1986, beating Chris Evert in Hilton Head. She won 107 singles titles, 22 Grand Slams (7 Wimbledon, 6 French Open, 5 US Open, and four singles titles at the Australian Open). She was ranked World No. 1 for 186 consecutive weeks (from August 1987 to March 1991, still the record in the women’s game) and a record total 377 weeks overall. 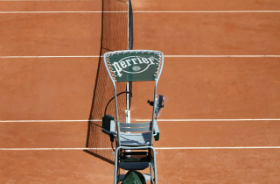 This French Open final was also the beginning of the end for Hingis: she was ousted by Jelena Dokic in the first round at Wimbledon in one of the biggest upsets in tennis history. She bounced back to reach the finals at the 99 US Open and at the 2000, 2001 and 2002 Australian Open but didn’t win any other major. 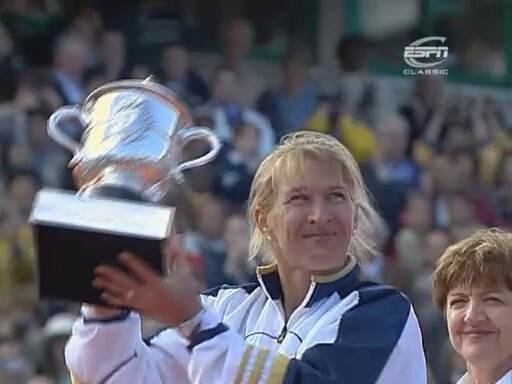 In 2003 she announced her retirement from tennis, she returned to the tour in 2006 and retired definitely after testing positive for cocaine during Wimbledon in 2007.